To combat excessive flushing of gob into the working area while retrieving face equipment during longwall moves. 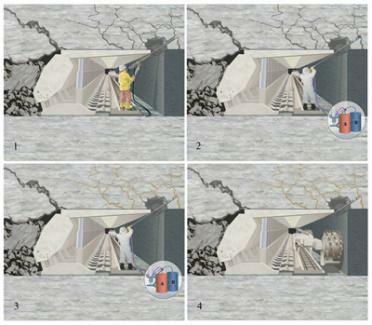 Coal mine longwall face falls (loss of immediate roof through frontal abutment pressure). 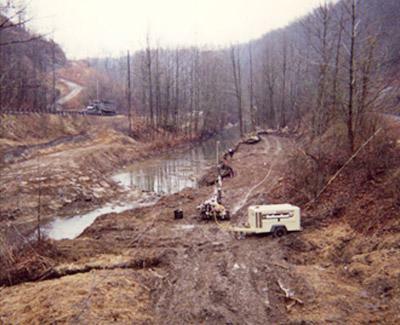 Mining - in Appalachia in particular - often presents issues where valleys must be crossed underground to gain access to reserves. Often this means that a number of surface features existing in the valley must be protected from the possibility of undermining in close proximity, causing damage. 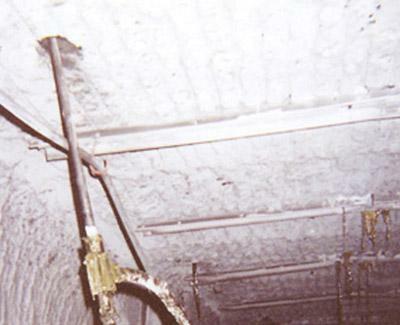 Additionally, the safety of the workforce and integrity of entries underground must be assured. Surface features may include the following: Buildings, Roads, Rivers, Railroads, Sewers and Utilities. Sub-Technical has developed methods and materials to ensure successful grouting, which incorporate ground anchoring members that also act to support and distribute loading. In a recent project by working in advance of the mining cycle three entries were taken under an active railroad, a busy two lane road and a river. 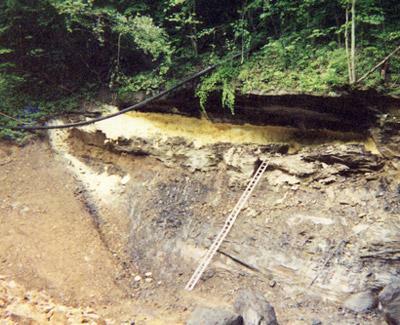 The minimum cover was 25 feet in mixed shales. The net result at the surface was that there was no disruption or damage to road, rail or stream. Underground, the three entries progressed rapidly through the area with out any problems of ground control or water inundation whatsoever. Recent developments in support of tailgates in Longwall panels have led Sub-Technical to develop a system and materials to cost effectively install these pumpable cementitous cribs. Pumping is performed at the surface using automated batch control and bulk material storage. The material is pumped down a borehole then horizontally to the crib site where bags of 24-inch, or 30-inch diameter are pumped in place. 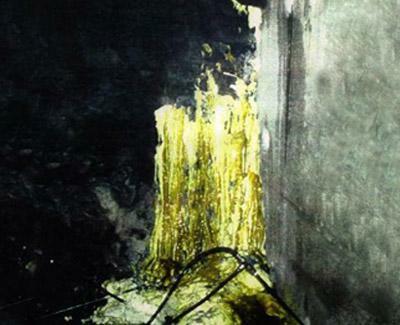 Recent tests at NIOSH test center have revealed material strengths up to 1,500 P.S.I. comprehensive strength. Please call to discuss how Sub-Technical can save you time and money in your tailgate. This is a combination process where the placement of the fill material (usually limestone gravel) is done by pneumatic stowing followed by injection of the stowed material with Polyurethane grouts providing tight permanent seals. Where surface soils require cessation of movement, topical application of Polyurethane can form a surface crust to stabilize them. 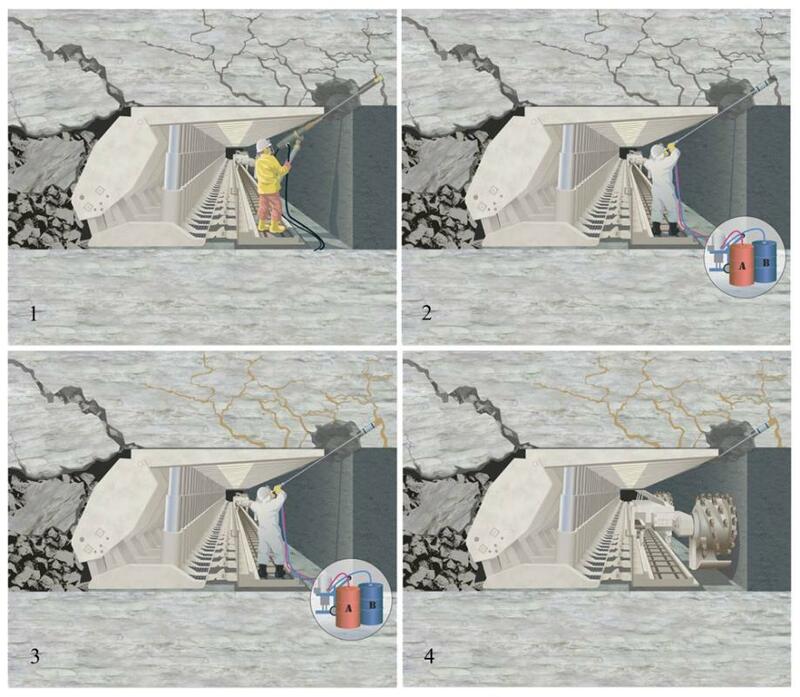 Deeper injection provides coverage to sub-levels consolidating the mass of material. 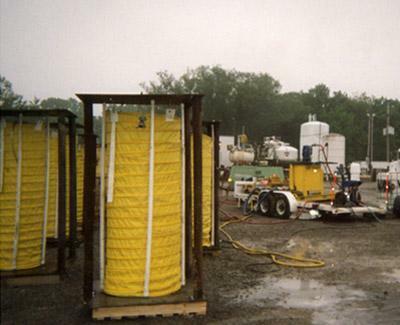 Very high compressive strengths are achieved when used with certain soils. 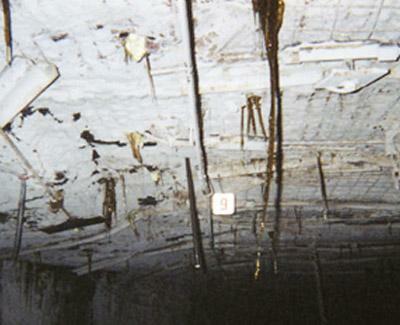 The maintenance of a mines roof condition is the key to safety and productivity. 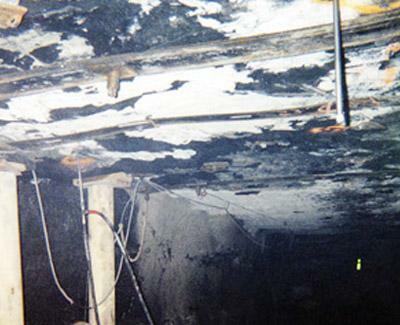 When dealing with roof problems a mine should consider that polyurethane grouts can provide a lasting solution that will not fail, providing that the contractor is competent and his recommended materials are appropriate. WARNING: Not all contractors are created equal. "Choose Sub-Technical." VENTILATION CONTROLS: Where permanent seals are leaking through roof, rib or floor. Ring or partial ring injection can secure the periphery, or seal the body itself from leakage. CONTROL OF FLOOR HEAVE: Where ground pressure results in floor heave polyurethane injection can provide a solution by creating a beam across the entry rib, eliminating or controlling floor movement. The exact inverse of roof control. RIB CONSOLIDATION: Where rib spalling is a specific problem especially in high extremes. Rib injection can provide a much higher degree of consolidation reducing a major hazard.